I'm the first to admit that I'm not the best at writing race recaps. 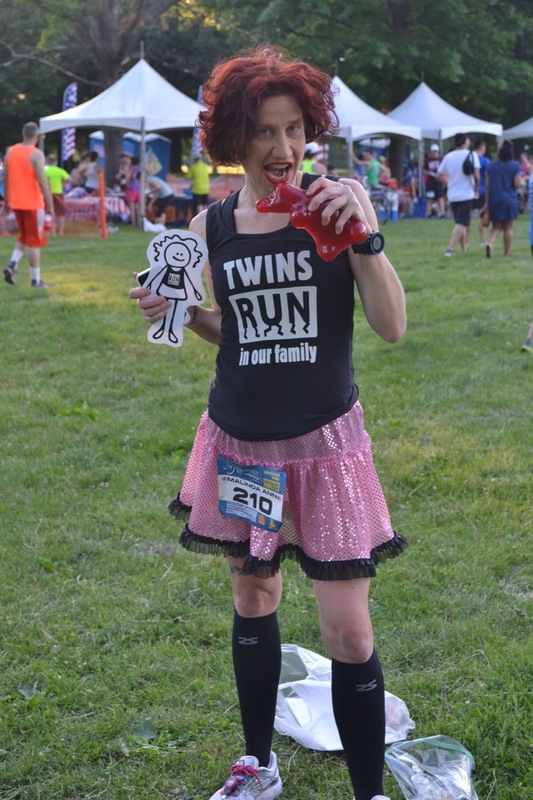 As Joan Benoit Samuelson says, "every race tells a story" and I enjoy reading and sharing other runners' stories. I wish it was easy for me to tell my story but I'll try to share what I can. After suffering from severe and sudden shin splint type pain during my run on Thursday, I was seriously worried that I wouldn't be able to run at all on Sunday. Running is my stress relief and I just began marathon training so the thought of not being able to run for weeks was overwhelming. Fortunately, I decided to take it one day at a time and forced myself to rest (no more #RWRunStreak for me) and iced, iced, baby! ;-) Two days without running felt like 2 months since my shin still hurt while I walked and I feared the worst. When I woke up on Sunday morning, I taped my leg, put on my compression socks and hoped for the best. I was pleasantly surprised that I had no shin pain at all during the race. I was truly grateful for every step and enjoyed every mile (even that final hill!). Due to the high temperature, humidity and dew point, I knew that I had to race carefully. I tried my best to maintain marathon pace throughout the race and I was able to meet my goal - finishing in 1:54:57 (average pace 8:46). Since I just began marathon training (#Train2BQ) and I'm not a fan of summer racing, this was my last race until my 11th attempt to qualify for the Boston Marathon (BQ) at the Rivanna Greenbelt Marathon on Saturday, September 10. Many thanks to all the volunteers, spectators, runners and walkers! I had an amazing time and hope to elaborate more on my recap in the coming days. Did you run, cheer or volunteer? Write a race recap? Share your link in comments & we'll add to our list!